Four finalists were awarded funds totaling $347,000 to facilitate the expansion and implementation of their cutting-edge projects through Waves of Innovation IV, an initiative launched five years ago by President Andrew K. Benton to inspire, engage, and motivate faculty, staff, and students to rethink Pepperdine and help shape its future. The awardees, who first presented their proposals as part of 89 applicants in December 2018, were announced during the Waves of Innovation IV Talks event on Monday, March 18, at Smothers Theatre in Malibu. The proposals targeted six Waves of Innovation categories: enhance teaching and learning; foster scholarly and creative activity; create new revenue opportunities through increased enrollment, new programs, community involvement, or collaboration with corporations and industry; streamline our organization, physical plant, and operating processes; strengthen the Pepperdine University brand and reputation; and enhance sustainability at the University, a new addition this year. Granados and Mooney propose to create an interdisciplinary, cross-school master of science degree program in entertainment, media, and sports business that will prepare graduates for career positions in related fields. The new program’s courses can also be leveraged to create a certificate in entertainment, media, and sports entrepreneurship, made available to Pepperdine alumni, the general public, and Seaver College students interested in pursuing entrepreneurial ventures in entertainment, media, and sports. Martin seeks to convene “Blockchain at Pepperdine,” an interdisciplinary and inclusive workshop and seminar series designed to blockchain studies and solutions toward advancing DLT education and innovation at Pepperdine. The series will explore conferences, certificates, courses, programs, and networking events. Smith requests seed money to develop a robust educational app with LMS integration that enables faculty to administer a gamified/token economy classroom. For example, students will earn points for attending Dean’s Lectures or library workshops. They can keep those points for their own benefit or gift them to their peers, who can only accept donations once they have reached a minimum level of engagement on their own accounts. Students can use their points to buy back old exams or revise written work. It is a means of offering a second chance to one student that does not undermine the sense of justice for the larger group. Welsch suggests using electrical bikes powered by solar panel energy at Pepperdine’s main campus in Malibu. Students would unlock the bikes with their Pepperdine identification cards. This project will help keep the air clean by reducing the University’s reliance on fossil fuels. Since 2013, more than 400 ideas have been submitted and 17 grants totaling more than $1.5 million have been awarded to forward-thinking, innovative proposals. Several ideas have been implemented and have produced results that will impact the University for years to come. 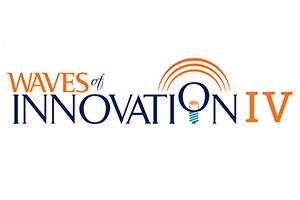 For additional information about the initiative, visit the Waves of Innovation website.